Passion. It’s one small word, yet it so perfectly describes what it is that all Moms Panelists share in common. Marc’s Disney passion is off-the-charts. In fact, it’s immeasurable. I have a special place in my heart for all of the Disney Dads, they’re all like brothers to me. Marc is no exception. 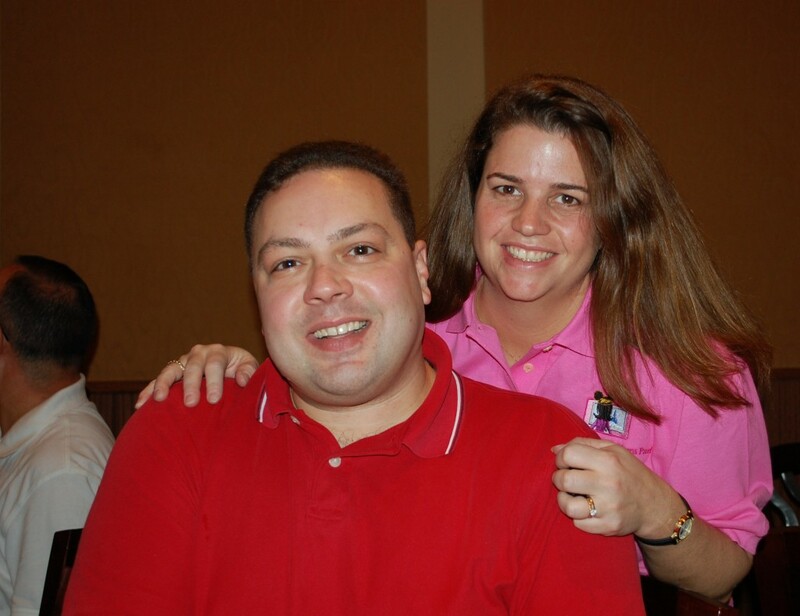 He is a wonderful single-dad to a 13 year-old son, a Christian and a dear friend. We have had countless conversations in the past year and a half. Naturally, we’ve chatted Disney for hours, but it goes far beyond that. We’ve talked about our dreams, disappointments and much, much more. Marc is the kind of guy that never leaves you questioning his sincerity. He has a huge heart and he’s very sensitive and giving. 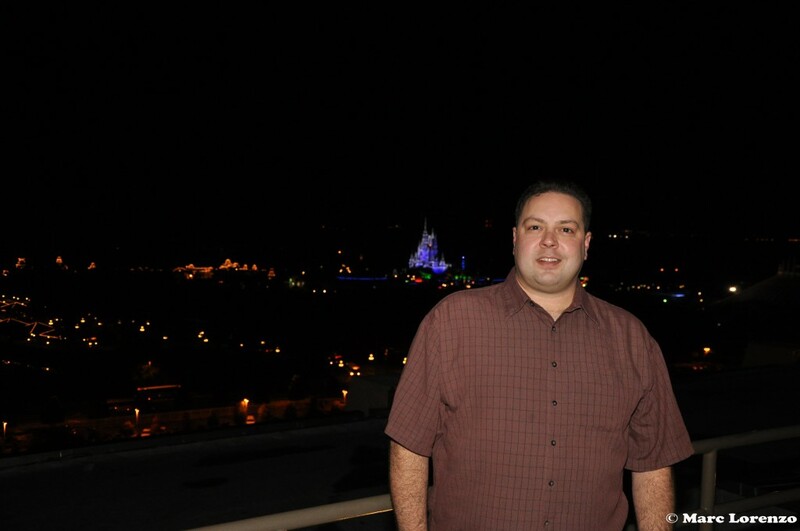 Marc can often be found on Twitter and Facebook, as well as listening to and participating in Disney related podcasts. Essentially, when he has a spare moment he fills it up by spending time with his Disney friends. 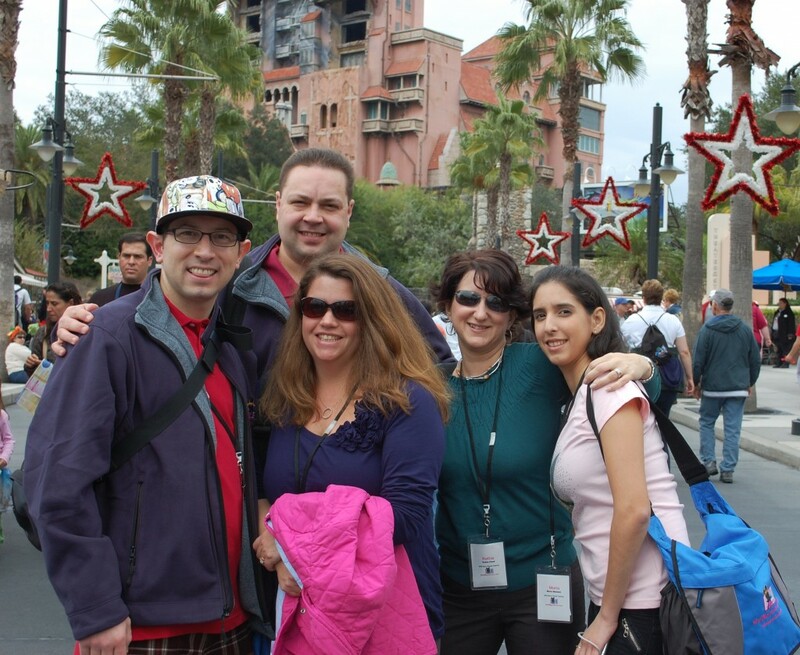 Some of my favorite memories from our Training Trip were from a few hours of “free time” in which Marc, Joel, Kathie, Maria and I headed over to Hollywood Studios. We all rode Tower of Terror and Rock ‘n Roller Coaster together. Ever the social media nut, Marc videoed the entire ride on Tower of Terror. It was pretty much pitch black and all you could hear was screams. Every few seconds when the elevator would stop momentarily, you’d see a flash of daylight and my hair standing straight up. It was hysterical. 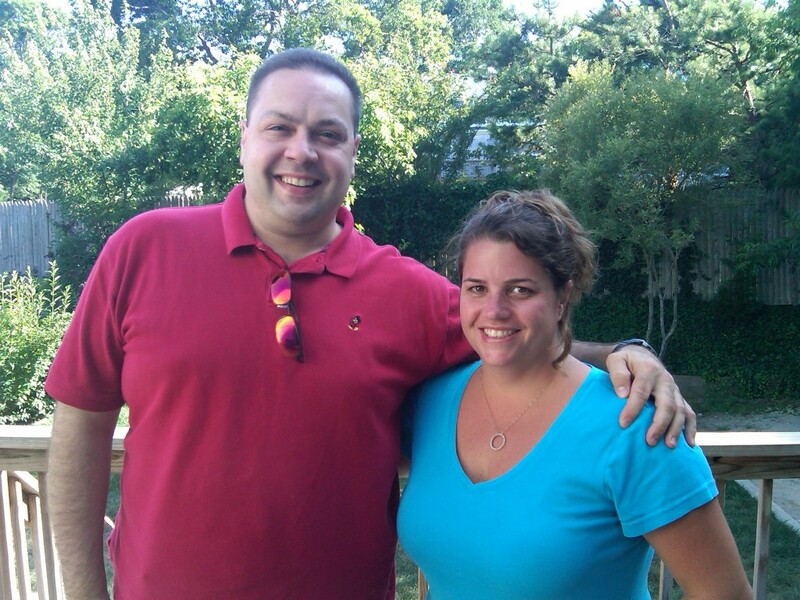 During training, I was excited to learn that Marc and his family visit Cape Cod every summer. He and his son came to my home to visit over 4th of July weekend last year for a BBQ. I look forward to seeing him again up here this summer. 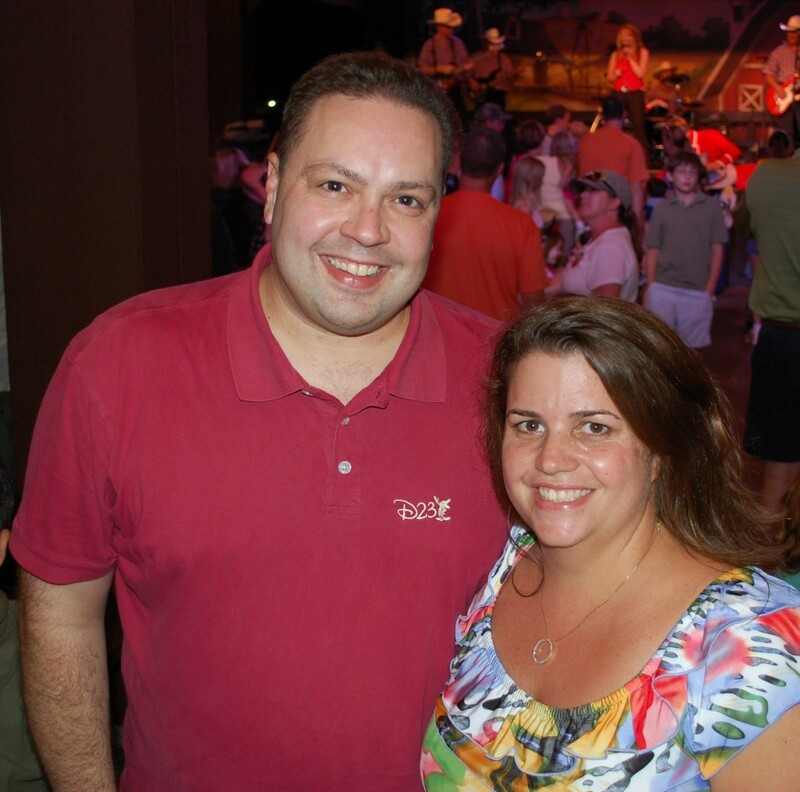 For the Moms Panel Reunion last year, several families got together at Mickey’s Backyard BBQ. We all had a lot of fun together. Marc is a big kid at heart. He was all decked out for Mickey’s Not-S0-Scary Halloween Party. 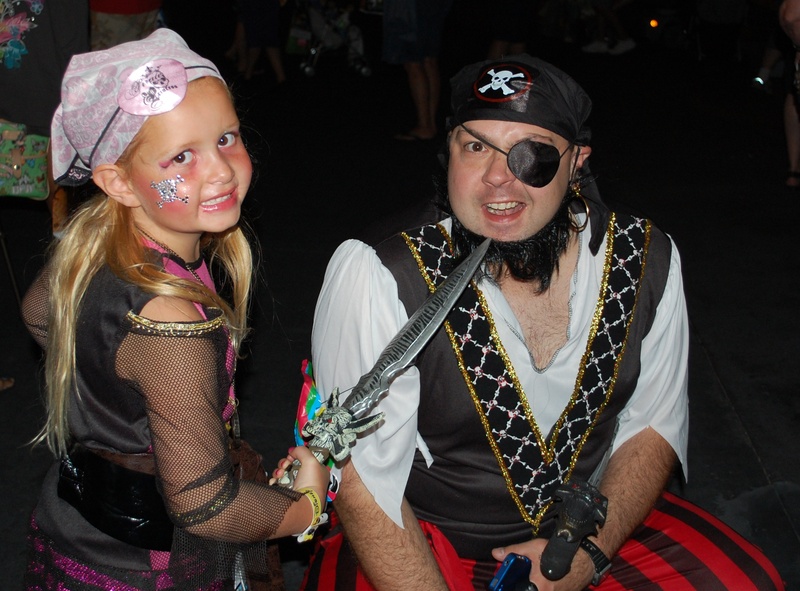 Here he is with my youngest little girlie. Together with a group of Alumni Panelists, we went down to Disney last December to welcome the newest members of the Moms Panel family. Immersed in the magic of Disney during the Christmas season, we enjoyed Mickey’s Very Merry Christmas Party, the Osborne Spectacle of Dancing Lights and so much more as group. We made so many wonderful memories together and I look forward to countless more through the years. During our Moms Panel Training Trip, Marc quickly became our “resident photographer”. He often has a regular camera, iPhone or video camera in his hand (sometimes all 3). He is truly an amazingly talented photographer. Each Friday, Marc shares one of his photos here on my blog. The pictures are usually taken at Disney World and are sure to make you smile. Be sure to stop back here each week to check out “Foto Fun Friday”. Be sure to stop back by next week! This entry was posted in Disney Moms Panel Monday, Walt Disney World Moms Panel and tagged Disney Moms Panel Monday, Moms Panel Monday, Walt Disney World Moms Panel. Bookmark the permalink. What a heartfelt tribute to a genuine guy!! Kudos to both of you for who you are! Very nice. 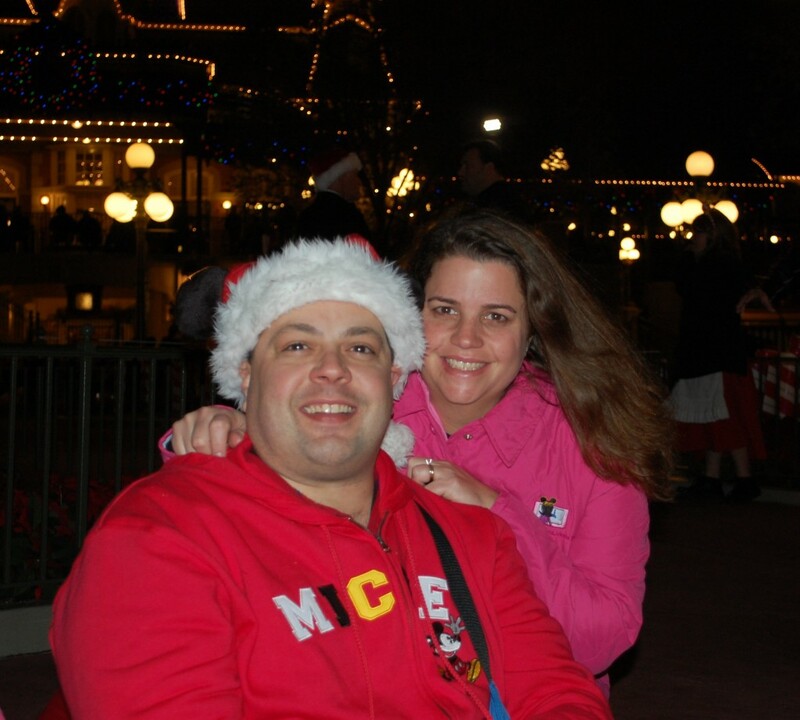 Love our Disney Dads!